Clemens Brentano (1778-1842) was one of the giants of German Literary Romanticism. 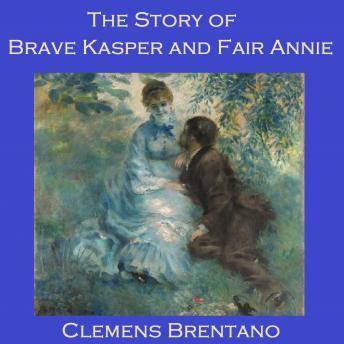 The Story of Brave Kasper and Fair Annie (published in 1817) is a novella outlining the sad tale of two star-crossed lovers, whose fates are determined by their determination to retain their own honour against all odds. Their story is mainly recounted by Kasper's 88-year-old grandmother, who is also Annie's guardian. As each episode of the tale unfolds, a new twist casts a different light on the previous episodes and new pieces of the jigsaw are put into place. The listener waits with bated breath to see what the picture will look like at the end.